​XCSITE 100 is a research grade tDCS/tACS device that enables high-quality double-blind tDCS/tACS studies. XCSITE 100 was designed to meet the growing need for a tDCS/tACS that allows flexible, double-blind trial designs. Many of our customers have not used tDCS/tACS before and are delighted how easy to understand and use XCSITE 100 is. ​Contact us for a free quote with no obligation. 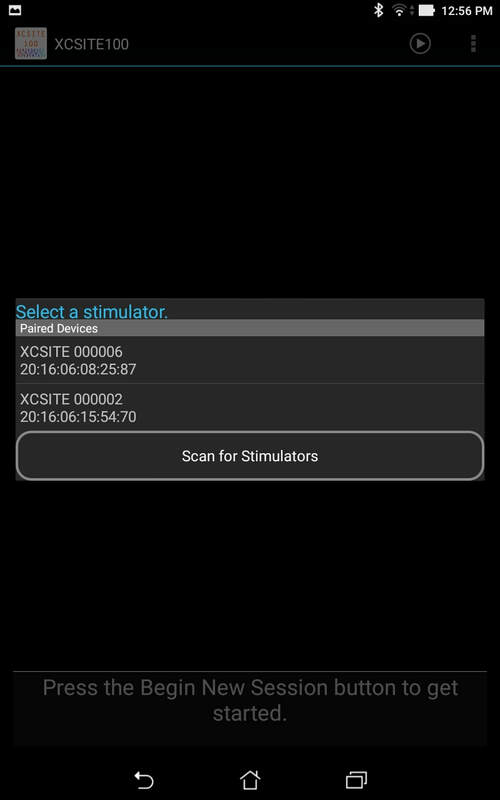 XCSITE 100 includes the stimulator, the tablet, the app, and accessories. We designed XCSITE 100 such that no engineering training is required to confidently operate the device. You can run double-blind placebo-controlled studies with any number of arms or stimulation configurations. The device measures and saves voltage and current for stimulation validation. We also offer the separate PLUS module, which gives online (electrically isolated) access to the current and voltage waveform during stimulation. Please see below for more technical information. Few clicks in the app and your are up and running. 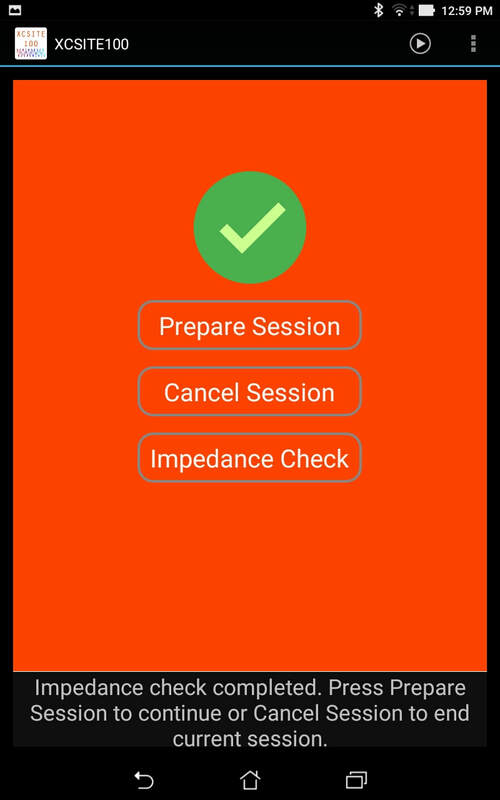 Easy to read and monitor session information is displayed in app. Keep your eyes on the participant and not on the stimulation device. The XCSITE 100 device only has a single button to start and stop the stimulation. That is it! User defined session codes for double-blind studies. Run multiple studies at the same time. Just choose which study you are working on when you open the app. 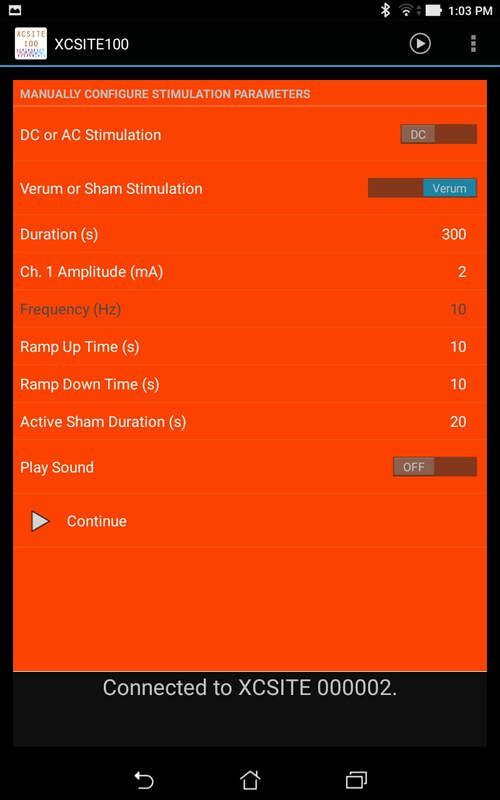 To run an open-label stimulation session, switch to the research mode, where you can enter the stimulation parameters right in the app. 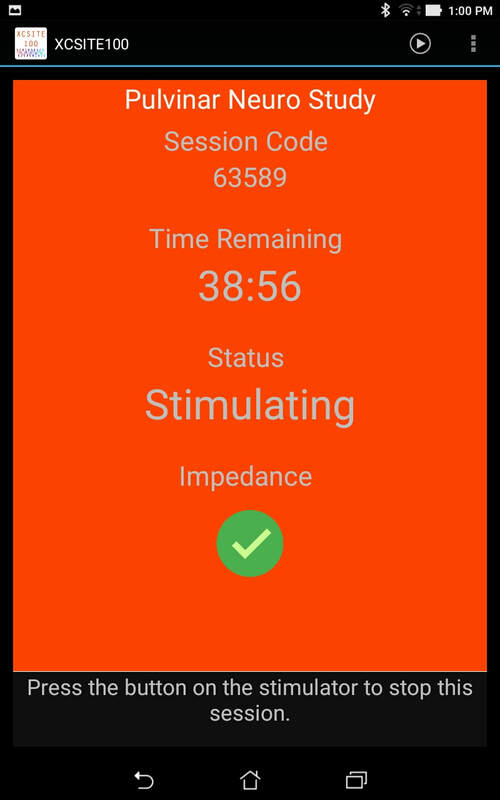 Full documentation of each stimulation session in encrypted log file with time-course of the stimulation voltage and current. All stimulation parameters are validated against known safe ranges before stimulation. Safety circuits monitor current and voltage and discontinue stimulation for abnormal levels. CAUTION: Investigational Device. Limited by United States law to investigational use. IRB approval required.